Enhanced reliability of current nuclear reactors and construction of the next generation of nuclear power plants are heavily depending on advancement in structural and core reactor materials. Materials degradate in a nuclear reactor due to synergistic effects from corrosion, stress and radiation. There is a significant technology gap in the knowledge of the fundamental mechanisms and processes in materials issues in nuclear reactors. And the to-be-gained knowledge shall be applied to improve the materials’ performance. 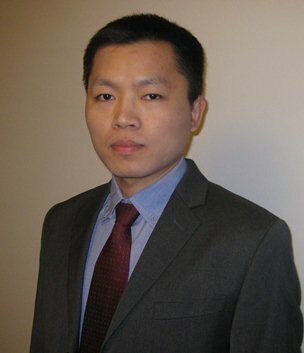 Current researches are mainly focused on improving the accident tolerance of LWRs Zircaloy fuel cladding, mitigating the chemical interaction between the metal fuel and steel cladding, evaluating the integrity of nuclear spent fuel during an interim dry storage and developing novel characterization tools for quantifying the thermophysical properties of nuclear oxide fuel at a micro/nano scale. Research efforts are also aimed to develop advanced stainless steel cladding material with an improved radiation resistance and weldability for sodium cooled fast reactor (SFR). Researches are mainly supported by the DOE-Nuclear Energy office, DOE national laboratories and US-Nuclear Regulatory Commission. Strong collaborations with peer universities and industries (EPRI, TerroPower and Westinghouse) have been extensively established.